Born and brought up in a Punjabi family in Maharashtra, my only contact with the Himalaya was through school textbooks. That was till 1984. I was 26, on my way to Manali to take up posting as a scientist in the Defence Research and Development Organization's Snow and Study Establishment. It was a freezing morning. The bus stand at Manali was desolate barring a few porters. The road to the hotel was cluttered with lumps of grey dirty ice--I was unaware then of the minute difference between firn and snow. When the porter carrying my belongings said, "The residents had thrown the ice from their referigerator," I asked him, "What made every household throw so much ice?" He broke into a hearty laugh and said, "Sahab, do-teen din pehle mausam kharab ho gya tha aur ye sab burf giri thi (the weather got inclement a few days ago, the ice is from that snowfall)." Such a lot of snow, my welcome to Manali couldn't have been more exhillirating. I tossed the snow clumps around in delight through the rest of the journey, much to the amusement of the porter. I did have to wait another week to see a snowfall. It was the last week of December. I woke up to see the town enveloped in a white blanket. In joy I danced barefoot, caught the gorgeous crystals in my palms and played around till a senior scientist staying in my neighbourhood warned me against overenthusiasm. It snowed for the next five days and a metre and a half of the ground was covered in snow. It was exhilarating; every three hours I would rush to the observatory to see how the measurments were taken. I still remember the coldest clear sky night after the snowfall stopped it was - 8C. I spent my first few months in an observatory at an altitude of 2,500 metres. That year we had a reasonably good cumulative snowfall of about 12 metres. There were several winter tourists and the winter carnival in February attracted quite a few skiers. They had to walk to the ski-slope because thick sheets of snow had made vehicle movement virtually impossible. The tourists did not mind the walk though. On the way they could catch a glimpse of Bollywood film shoots. We had good snowfall the next few years and I busied myself in observing the minute differences in snowfall across different areas. Bholu Ram Thakur, (Bholu to all of us), a Manali resident, was my trusted lieutenant in my data collection. In his early twenties, Bholu was a veritable storehouse of local knowledge. He would update me on a variety of local intricacies ranging from Kullu shawls to changing climate in the valley since his childhood. Bholu owned a few acres in a nearby village which he had converted into an apple orchard. Bholu appeared genuinely contented there was a steady income from the Snow Study Establishment job--an achievement of sorts for a person of his village--and from selling apples at the local mandi. The two of us never noticed any change in snowfall pattern though our data did show a slight rise in air temperatures. Things began to change in 1988. There were severe flash floods and the meandering Beas took a heavy toll of life and property. A few of us thought this would be a one-off occurence. But the worst fears of many of us came true flash floods became regular in subsequent years. 1995 was a very bad year. 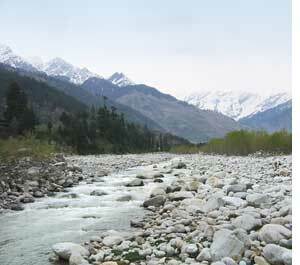 Bholu lost some of his land as the Beas changed course mercilessly whenever it was in spate. In the following years, snowfall became erratic spoiling the February winter carnival on quite a few occasions. Summer temperatures too were rising alarmingly. I still remember the summer of 1990-91 when we used a table-fan for the first time in our home. House-flies, unknown till now in these areas, were another harbinger of the changing climate in the Himalaya. There was also the unusual event of brownish black fresh snowfall in the Himalaya in March 1991 which, some scientists believed, was the result of burning Kuwaiti oil wells in the aftermath of the first Gulf War. Large-scale illegal deforestation was also underway during this period the Border Roads Organization was constructing an approach road to the proposed site of Rohtang Tunnel. The valley which had a thick forest of deodar trees started wearing an eroded look. This was also the period when militancy in Kashmir was at its peak and a major portion of the tourist traffic was diverted from Kashmir to Himachal Pradesh. Large number of people visiting Manali did give a tremendous boost to the economy of the area, but it was detrimental to its precarious ecology. Narrow roads leading to Manali and Rohtang Pass, a major tourist attraction in the Beas Valley, were never the same with traffic jams and accidents becoming regular. In the early 1990s there was nothing peaceful about the Valley of Gods. Some irate vehicle owners caught in the traffic at the Rohtang Top were not averse to opening fire. 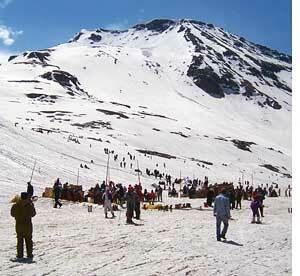 I moved from Manali in 1992, but remained a regular visitor. On one of my visits, in 2004, I stayed at a downtown hotel. One day I asked the manager about the quality of drinking water at his establishment. It was a casual query. But I could see he was turning defensive. I decided to press the matter. It wasn't difficult to find the reason for his discomfiture a hose-pipe released sewage water from his hotel to the Beas River and a pipe, slightly upstream, pumped the water for use at the hotel. This must have been the story of many such hotels in Manali, most of them constructed illegally. I quickly shifted to another hotel, albeit a costly one. In 2008, I was appalled to see a large number of vehicles, belching out tonnes of polluting gases and clogging a narrow road leading to Rohtang Pass. There was a two-km-long queue of vehicles waiting for their journey up. 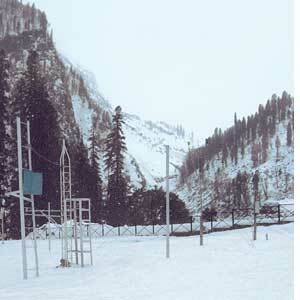 In 1984, there were very few hotels in Manali. Human habitation was largely confined, by traditional wisdom, to the raised river-banks and valley-sides, thus minimizing effects of floods. Twenty years later many houses had been converted to hotels. The riverbed, a flood-prone zone, was not spared either. This unplanned mushrooming of hotels, even on the river-bed, with no structured efforts to manage the sewage as well as solid wastes have reduced the Beas to a contaminated nullah. I was in Manali again this April to attend an international seminar. One day I decided to take a walk along the left bank of the Beas with a Canadian colleague. I remembered the bank was sparsely populated in the early 1980s and began entertaining thoughts of a relaxed walk. I was soon jolted out of my bearings. 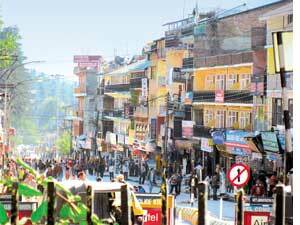 The narrow road is today flanked by hotels and vehicles speed by with enormous ferocity. The stench from the rubbish dumped on both sides of the road was overpowering. My Canadian colleague gave me dirty looks. There were many tourists though and the economy seemed to be thriving. But there was a distinct tinge of sadness on the faces of old-timers like Bholu. 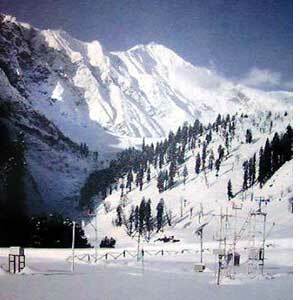 Snowfall in the Upper Beas Valley has almost halved in the last decade or so. The area used to get a cumulative snowfall of 1,300-1,600 cm in the late 1990s, but now receives only 800-900 cm. Bholu told me his orchard is no longer profitable. A good crop of apples requires an average of 1,200-1,600 chilling hours, adequate snowfall and rainfall, and suitable temperature at the time of flowering, which this year were not at all conducive. Bholu expects a 40 per cent fall in production this year.